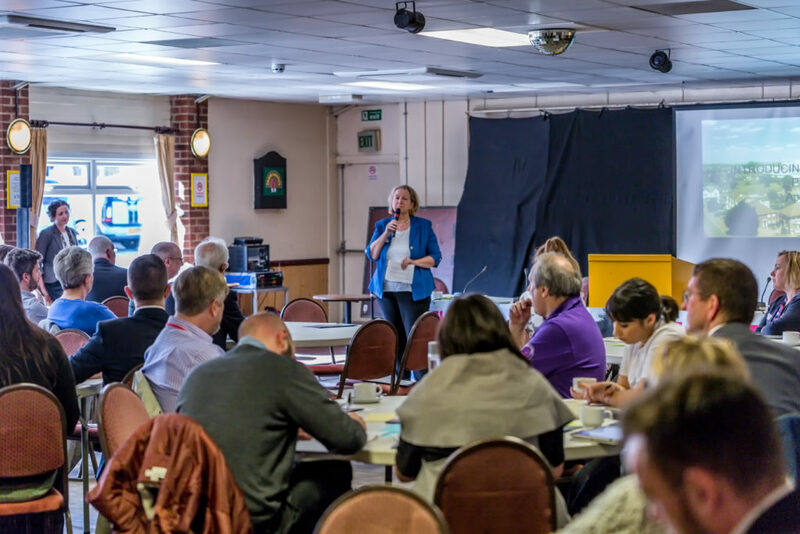 We recently launched Our People, Our Places, Our Plan: The Sutton Plan, appropriately enough at the ground of our now famous giant-killing football team, Sutton United. The Sutton Plan represents a new beginning for Sutton, bringing the council, our public sector partners, businesses and the voluntary and community sector together to develop a new model of public service for the benefit of residents. The impetus for this groundbreaking local collaboration is the fact we can’t carry on doing things the way we have before. All of us in the public sector – hospitals and health practitioners, the council and housing providers, employment support services and local colleges, police and emergency services – have seen an overall reduction in the public money at our disposal since the beginning of central government’s policy of austerity in 2010. Neither is there any sign of let up: total public sector spend across the borough is projected to shrink by up to ten per cent between 2016/17 and 2018/19; by 2019-20 the council alone will have made efficiency savings of approximately 6 per cent a year to total £93m since 2010/11. To compound this, our research suggests a worrying demographic trend – the potential for a ‘lost generation’ of people in their twenties and thirties living in the borough. The graphs on the left of the diagram below show Sutton’s population in 2015 and projected population in 2039; the graphs on the right show the corresponding figures for Greater London. Whilst the figures suggest that the capital attracts an influx of 20-40 years olds – and will continue to do so – Sutton appears to buck this trend. The potential effects of this trend are worrying – for our communities, local economies and indeed, the long-term viability of our local public services. However, these financial and demographic challenges have given us the impetus to come together in an attempt to shape a joint vision for the borough and its residents – with the central aim of constructing coherent, place-based services, built around residents’ needs rather than institutional loyalties, making the most of the total ‘Sutton £’. This ‘Sutton £’, the sum total of all public sector spend across the borough, amounted to an estimated £1.8 billion in 2016/17 – a considerable amount, despite successive rounds of belt-tightening since 2010. It’s time that we looked at this as a genuinely shared resource and planned future services accordingly. The Sutton Plan is our first draft of a new local way of working. It sets out our combined thoughts on how to grapple with the big issues facing us – and provides a blueprint for how we overcome them. Provide more coherent support for young families at risk of disadvantage, collaborating on a new approach to early intervention that brings together midwives, health workers, children’s centres, social workers and the voluntary sector with the aim of creating a more rational, single point service. Tackle persistent and surprisingly high rates of domestic violence and abuse. Ensure that lower income older people live longer, more fulfilled, happier lives in the community. Make the borough a more attractive place to live, work and play for all, – regenerating and diversifying our local economies, and ensuring that Sutton’s ‘lost generation’ does not come to pass. Public service partnerships have a chequered history so we need to find different solutions. Much-heralded examples of shared service partnerships have ultimately broken down due to political and institutional differences that proved insurmountable. Previous attempts at similar place-based exercises, such as Total Place, recognised the scale of the opportunity but didn’t do enough to set up the practical partnerships needed to take the concept forward. What makes Sutton’s approach different is our long-term experience of sharing services (from an award-winning four-borough Legal Service to a wide range of both frontline and back office services shared with our neighbour Kingston) and working in partnership with others (such as our unique Safer Sutton Partnership with the Metropolitan Police), combined with our renewed appetite to tackle our biggest problems head-on. Everyone seems to be going on a journey nowadays. This one will be tricky. It will be arduous – and I can almost guarantee that it will be bumpy, but the destination will be worth any hardships we endure to get there. Sutton Council’s vision has long been ‘to build a community in which all can take part and take pride’ – we’re now looking forward to taking our partners, old and new, along with us.